Today is Victoria Day, the final day in a long weekend that in Canada is the official herald of the summer to come. It’s the long weekend where people get together for barbecues and outdoor parties, where people open up their cottages and put their boats in the water. It’s the weekend where garden enthusiasts can finally plant all those frost-fearing plants they’ve been keeping inside. It’s a weekend to spend enjoying fresh air and the company of friends. The Pie is out of town at a tournament this weekend and so I had all sorts of social events planned to keep me from getting lonely and bored by myself. At the eleventh hour, however, literally as I was walking out the door on Friday night to the first of my social engagements, I realized I had picked up a stomach bug from one of my coworkers (despite our best efforts) and I had to cancel everything. While it was a mild case (I’m mostly fine now), I knew it was infectious and one of my events was a brunch with Gen. Zod, a pregnant Atlas, and my immunocompromised mother. So that was a no-go. But I’d already bought all the food for it, and so in the moments when I wasn’t feeling terrible, I decided to make smaller amounts of my recipes for the brunch anyway, just to keep myself from going stir crazy with only Gren for company. This one from Sweet Treats & More is ridiculously easy and can be scaled for events of any size. 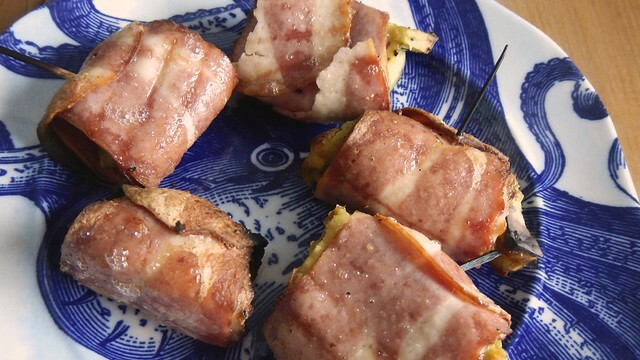 They make great finger food for brunch, lunch, or even dinner. Start by setting your oven to broil and haul out a broiling pan or a baking sheet with a cooling rack set in it. 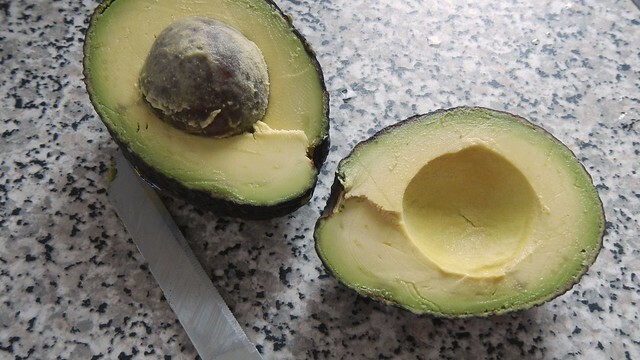 Then set to and halve, pit, and peel however many ripe avocados you want to use. Cut those up into as close to cubes as you can get. Sprinkle them with salt and pepper. I feel like a small gob of goat cheese, brie, or a pecan wouldn’t go amiss tucked into the little indentation left by the pit. 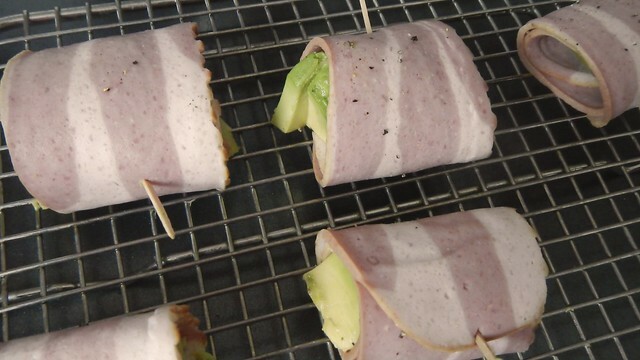 Then grab a slice of turkey bacon (you can use whatever bacon you want for this of course) for each cube of avocado and wrap it up. Jab a toothpick into it to keep it shut. 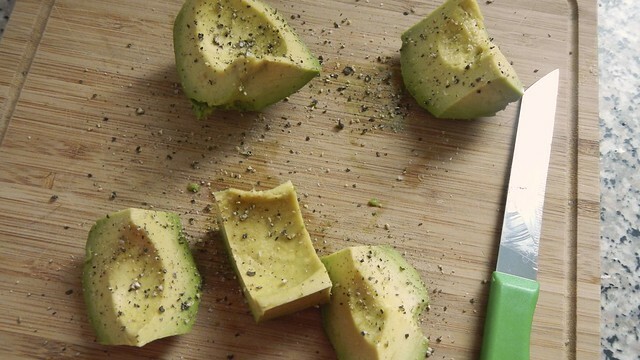 Wouldn’t want that juicy avocado to escape. Lay the little packages on your pan and shove them in the oven. I think it depends on how high your rack is and how hot your broiler is because the original recipe called for 10-15 minutes and mine took 8 minutes before they were a little on the charred side. So keep an eye on them. Yum. Love bacon and avo together. 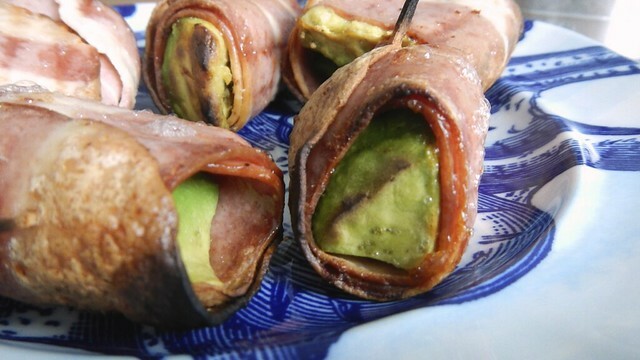 I usually do not like to cook avocado but these little darlings look delish! Me neither but it’s worth it in this case! Great I will try it. Looks very interesting! Would a bit of garlic be a bad or a good thing? Truly weird thing: the stomach bug was going around my workplace here in Ireland last week, too! I avoided it luckily. Seemed to take everyone it hit down for 2 days, though. Obviously i caught it from you! I think a wee bit of garlic would be great. Let me know if you try it. Haha yeah probably not. I think a little goat cheese might not come amiss though. 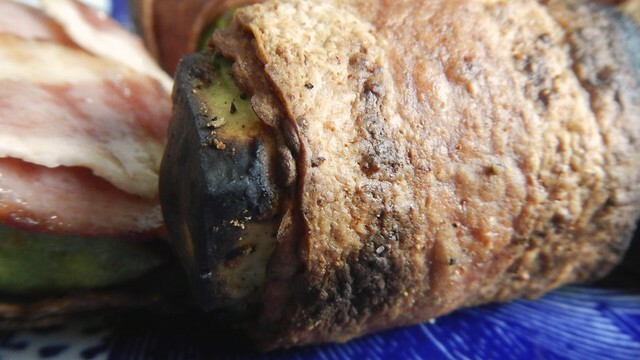 Bacon and avocado are my two most fav foods, yum! 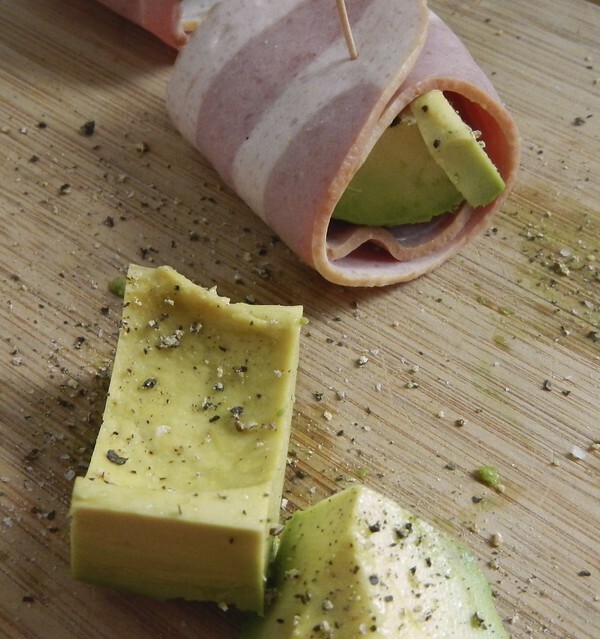 This is 2 of my all time favorite foods rolled in one! (literally). Sounds amazing! Also I’m new here and was hoping you might want to give me a follow? I have only posted once so far but plan to post regular about fashion and everyday life! 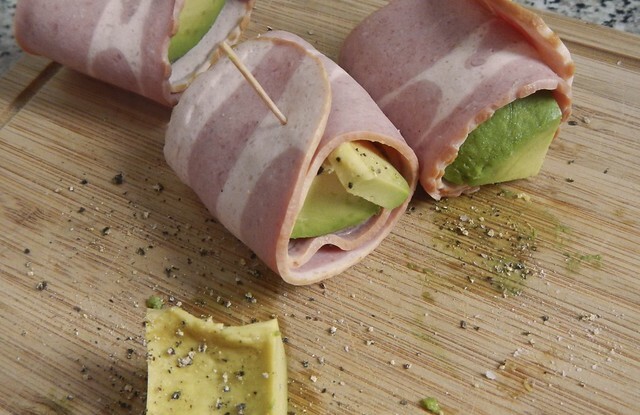 Sounds and looks good, even though i’m not a big fan of avacado, it would be worth a try! Oh. My. Goodness. Totally trying these for an upcoming birthday party!! Thank you for sharing! !